KYIV /Ukrinform/. Commerce turnover between Ukraine and Turkey fell from 2008 by more than $2 billion. 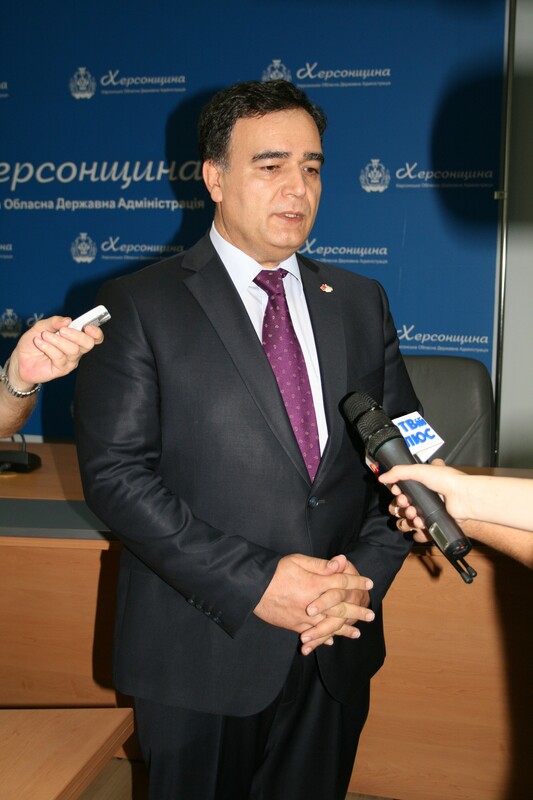 The head of the association of business owners of Ukraine and Turkey, famous Turkish businessman Ali Bulut told reporters on Thursday in the southern city of Kherson during the signing of a memorandum on cooperation and partnership between the Kherson state administration and the association, Ukrinform correspondent reports. “In 2008, the commercial turnover between Turkey and Ukraine amounted to $8.3 billion. It was the peak. At the moment, the volume of trade fell to $6 billion,” said Bulut. As he said, Turkey as a commercial partner of Ukraine is in the second place among the countries exporting merchandise. Ukraine ranks eighth among the countries exporting goods to Turkey. Bulut noted Turkey and Ukraine have annual potential to bolster trade to around $20 billion. Bulut stated that it is necessary to expand the range of goods traded between the two countries. 23 Temmuz 2015 in Genel. ← Ukrayna’da Bu Hafta Filem Kaç TL’ye Doldu ? / Сколько турецких лир свежие овощи и фрукты в июле в Украине, Херсон?